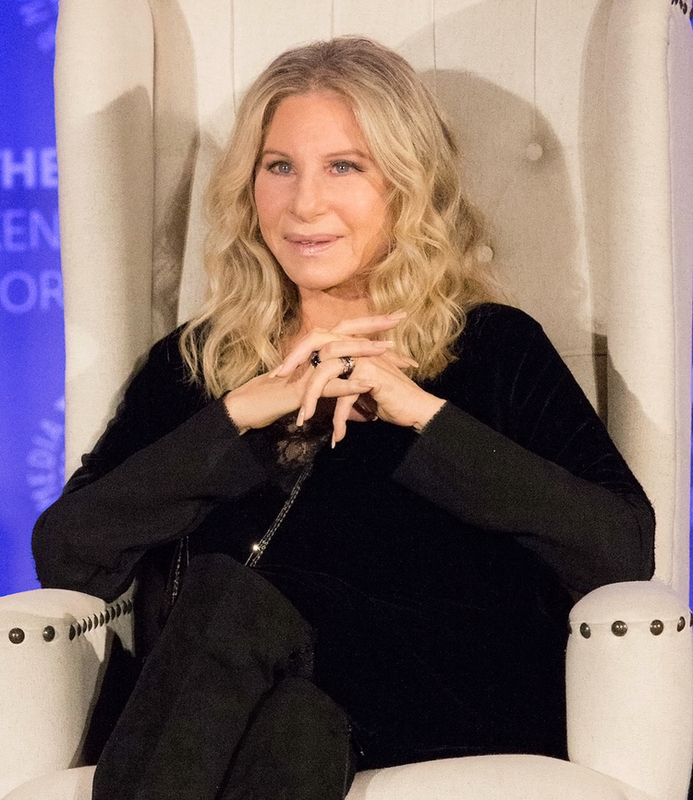 As the Los Angeles Times described the occasion (in a story headlined Barbra Streisand opens the Annual Paley Fest on a high note,) “Friday’s salute kicked off with a generous montage of clips from her television accomplishments.” These included Streisand’s 1960s specials “My Name Is Barbra” and “Color Me Barbra,” and her recent Netflix special, “Barbra: The Music … The Mem’ries … The Magic!”, the critically acclaimed Netflix presentation of Ms. Streisand’s most recent SRO concert tour. “When the lights came up,” the LA Times story continued, “Streisand, wearing a dark dress with knee-high black boots, walked on stage alone and started waving to the audience, which greeted her with a thunderous ovation. 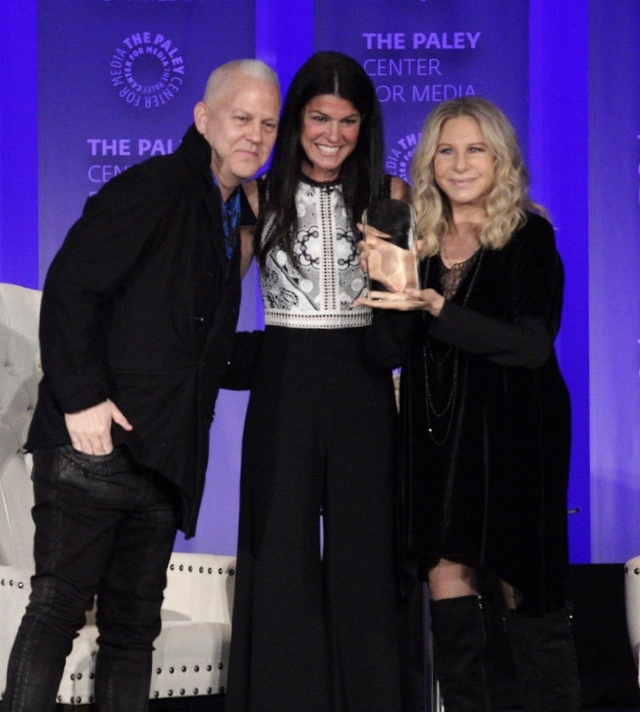 She was joined a few moments later by Ryan Murphy (“Glee,” “American Horror Story”), the evening’s moderator. 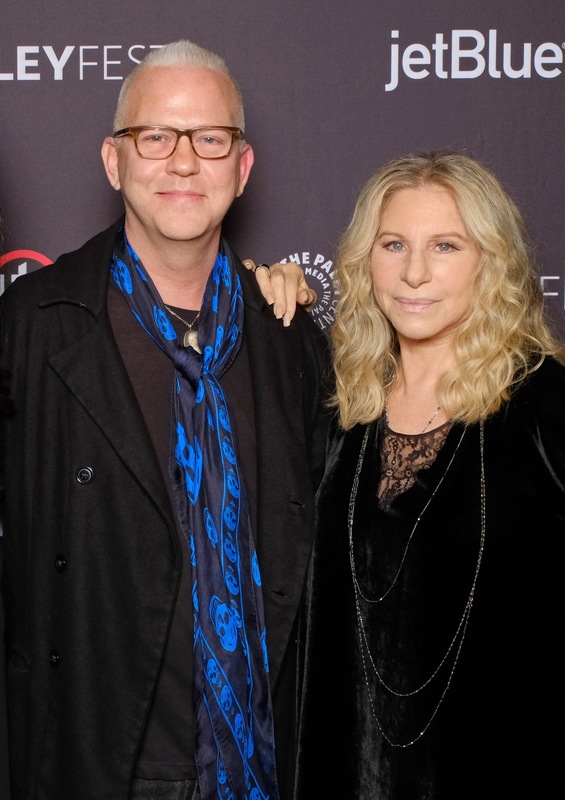 In celebrating Ms. Streisand, as writer-producer-director, star and composer,” Murphy made no effort to mask his excitement about his emcee duties, recounting his thrill as a young boy seeing Streisand for the first time in 1968’s “Funny Girl.” Murphy dismissed those who merely want to label Streisand as the greatest female star in entertainment.